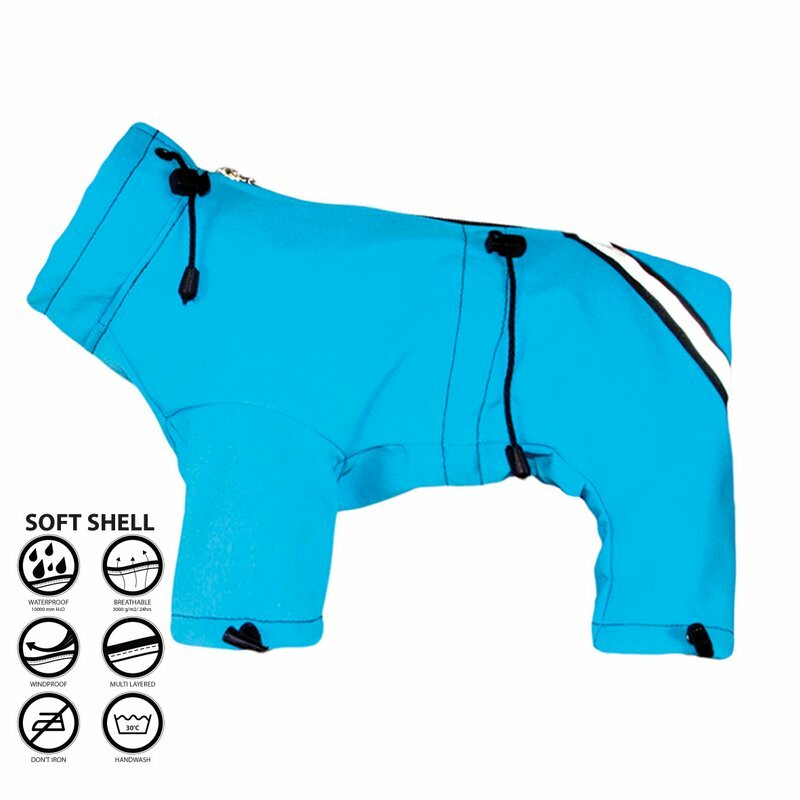 Waterproof clothing made from polyamide with lining. It covers body and legs of a dog. It's a great protection against wind, rain and dirt. 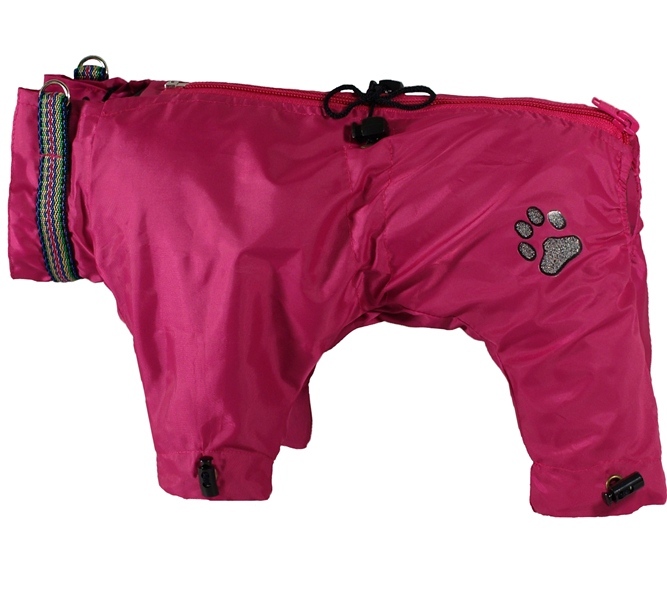 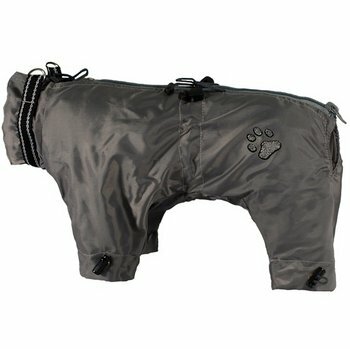 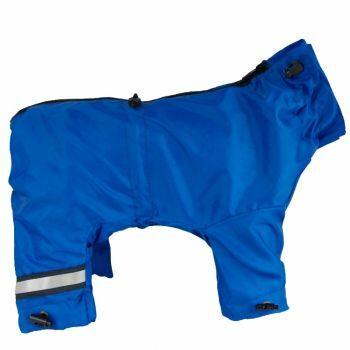 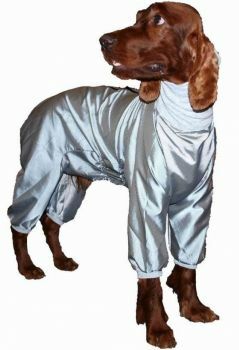 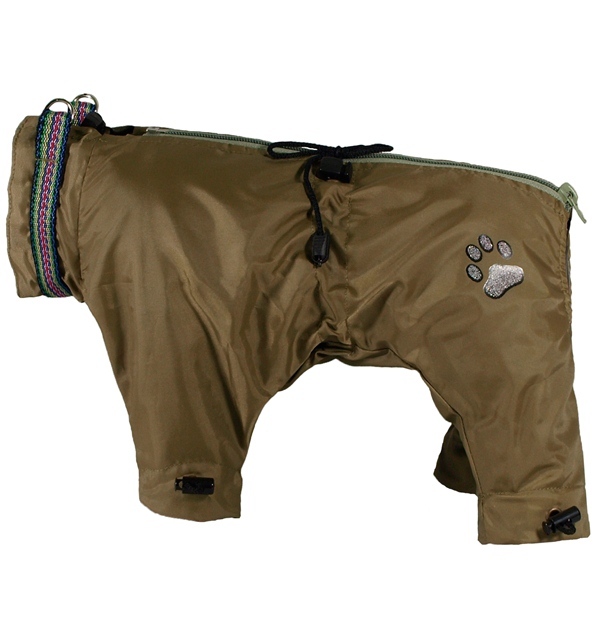 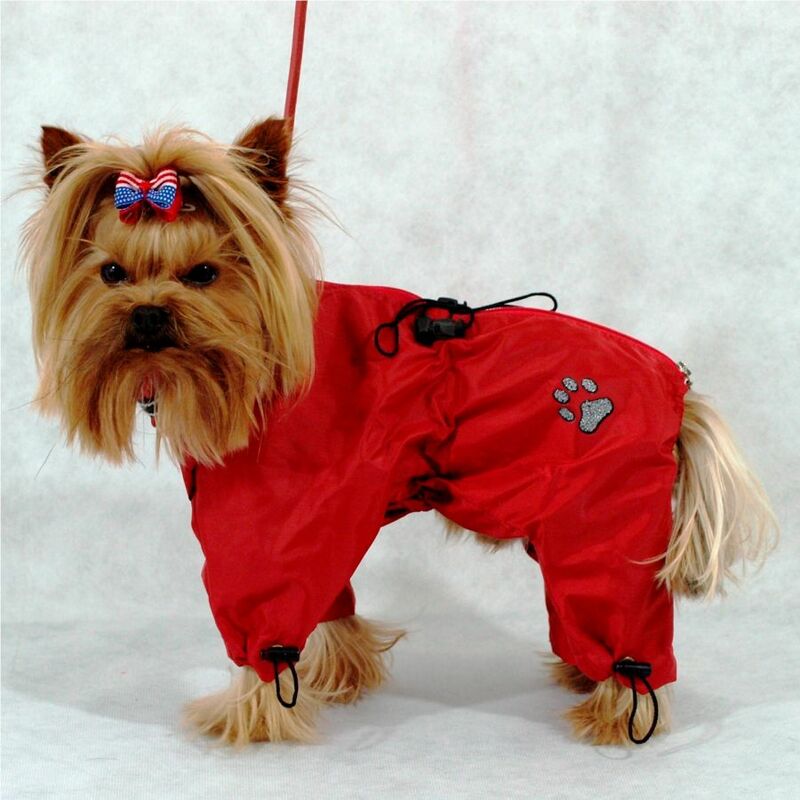 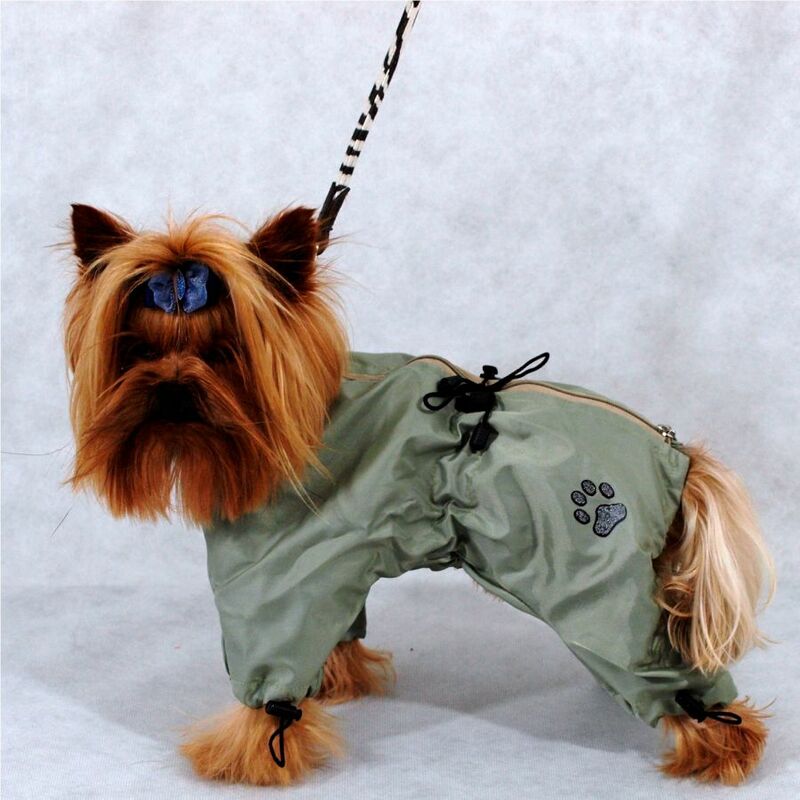 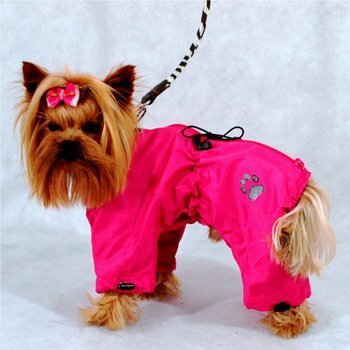 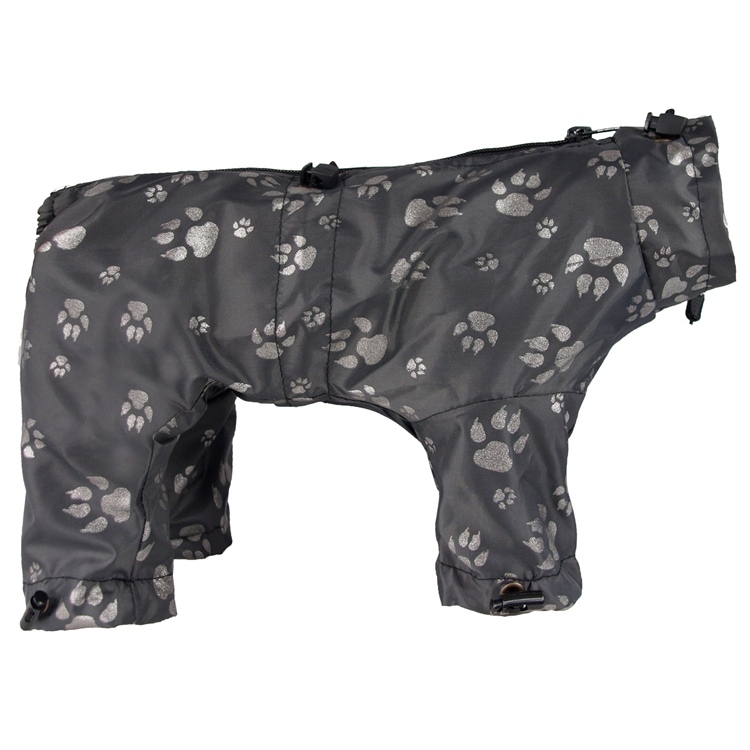 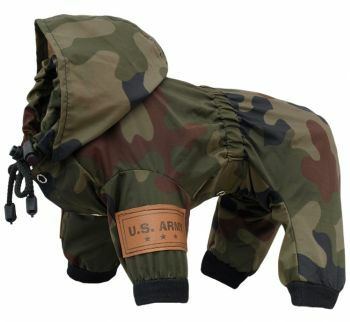 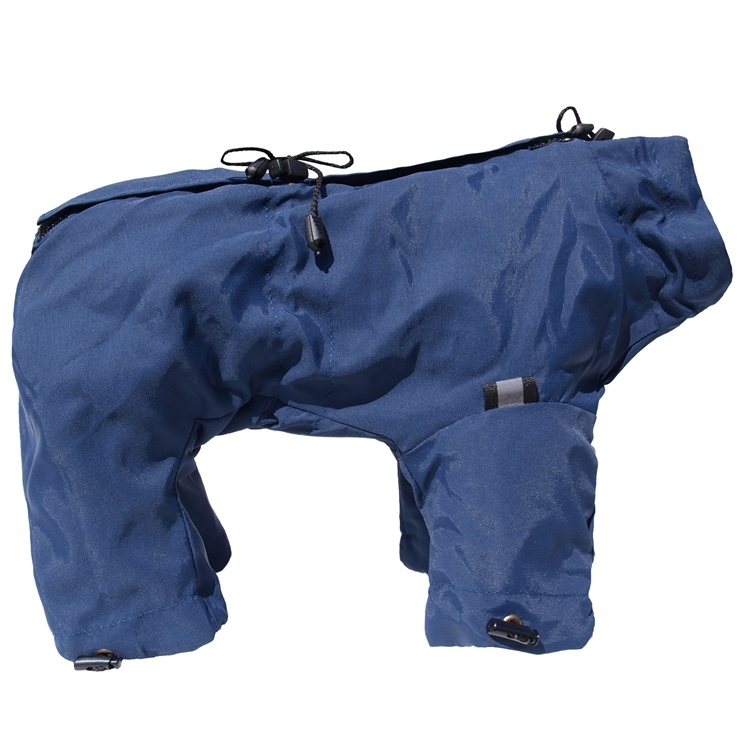 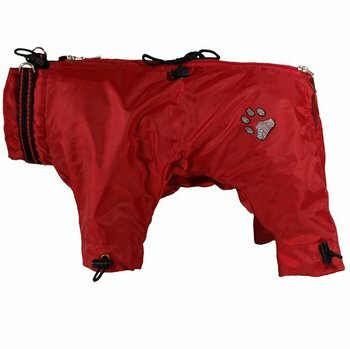 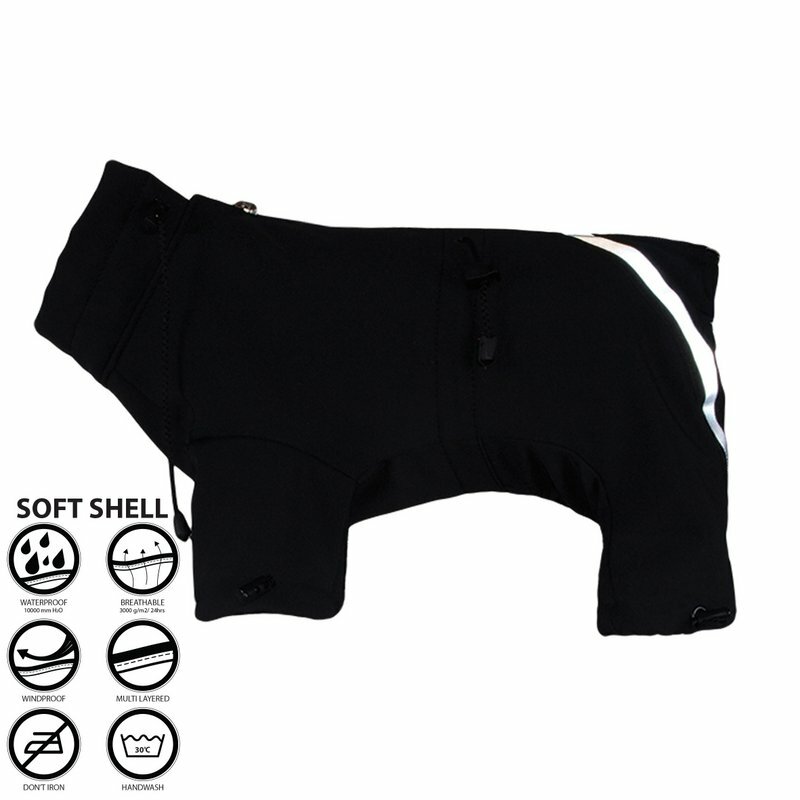 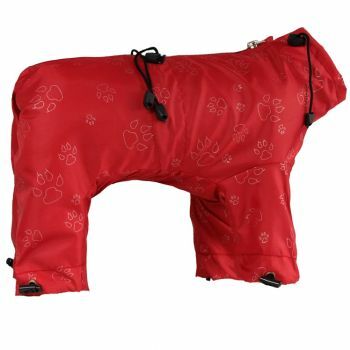 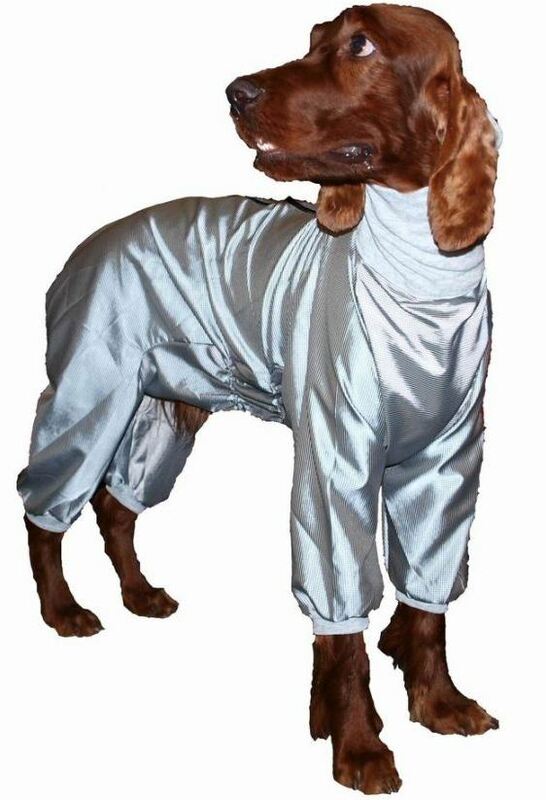 Fastened with a zipper on the back, and a wide tape under it for animal’s comfort, size regulation in waist and neck.